MessagePro GoSolo is ideal for entrepreneurs and very small businesses. 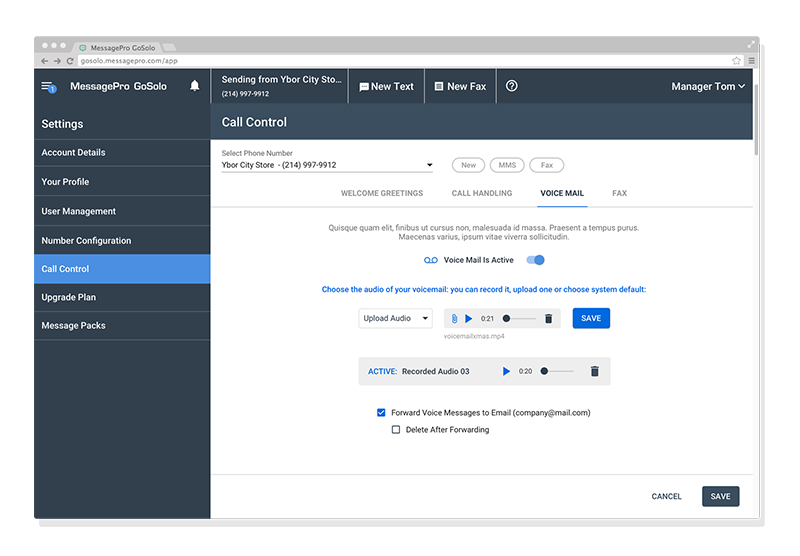 It eliminates the need for a phone system, stand-alone fax line, voice mail service, and lets you use your business phone number for all business communications. With a great logging and reporting. You can also import all your contacts. MessagePro GoSolo is super easy to configure and use. We get a virtual phone system, extensions, voice mail, fax, and even text for $29.95 per month. We save every month on our communications bills and we look like a big business to the outside world. Plus the MessagePro staff is great to work with when making changes, although its easy to do it ourselves. Want to Know More About MessagePro for Small Businesses? Let’s Talk!